Hump Day Holo is here again and today, I have one of my favorite summer shades of all time: Zoya Breezi! Breezi is a gorgeous Dodger blue creme that is lustrous, even without a top coat. But how does she compare as a holo? We find out... after the jump! Stop. The. Presses. This is a stunner. 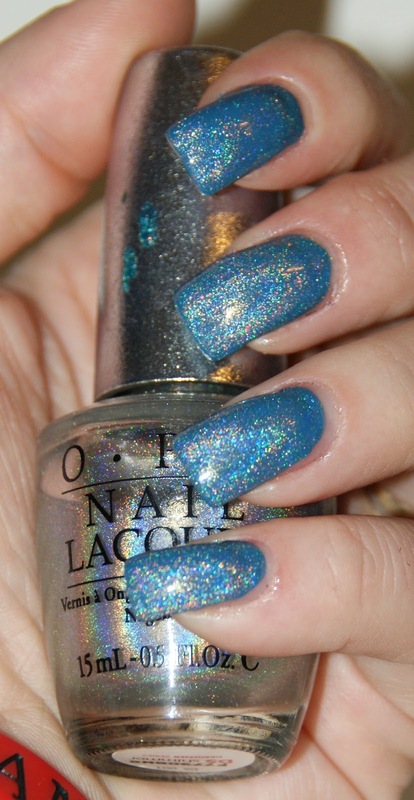 OPI DS Shimmer picks up the color so well that you could never tell there were two different colors layered. And I'm totally drooling over this macro. What about you, ladies? SO PRETTY!!!! I now think I need to find that OPI! GORGEOUS! I seriously stopped breathing for a split second. Such a stunning blue already & the OPI gives it such an extra wow factor! I definitely need to find DS Shimmer ASAP! I really love a silver holo over a bright color! This is awesome. 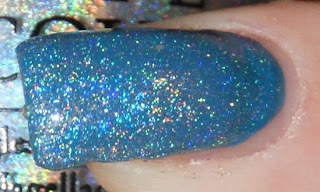 I don't have the DS OPI silver holo, but I have HITS Hefesto and it gives the same effect. So much fun! Think I might have to add Breezi to my Zoya wish list. What an awesome blue! Thanks for sharing!